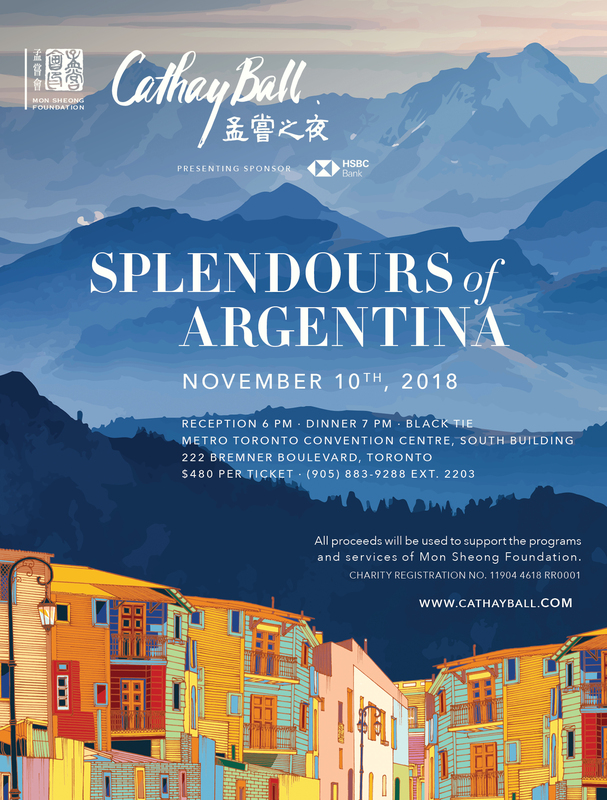 TORONTO, November 4, 2017—For 25 years, the Cathay Ball has stood as one of Toronto’s favourite fundraising galas, raising more than $13 million for the long-term care centres and other charitable services of Mon Sheong Foundation. Capturing the attention of both major corporates and the Chinese community, it has always been a uniquely collaborative effort in support of Canada’s longest standing Chinese charity. Tonight, over a thousand patrons gathered at the Metro Toronto Convention Centre for the 26th Cathay Ball; among them were business leaders, media personalities, and over twenty representatives from all three levels of government. With this being a momentous year in Canadian history, the theme of the evening paid tribute to one of the country’s iconic landscapes. Stunning ice sculptures and breathtaking backdrops were prominently featured as guests found themselves in an arctic experience like no other. Upon entering the venue, guests were greeted by the mesmerizing instrumentals played by the Laurel String Trio. The featured act during dinner was an extraordinary spectacle orchestrated by the highly awarded RSDivas Creative team, whose dancers performed a ballet routine while encased in an inflatable bubble. This was followed by premium showgirls parading around the stage, dazzling with their signature precision and show stopping dynamics. A quartet consisting of Etobicoke School of the Arts students and alumni impressed the crowd by singing several classics, drawing focus to the next generation of Canadian talent. Altogether, the evening’s entertainment made it an unforgettable time for those in attendance. This year also marks the third edition of the Mon Sheong Lifestyle Magazine, an annual publication released at the Cathay Ball. Aside from details about the 2017 gala, its pages contain articles that cover a breadth of topics of interest, including travel guides, restaurant reviews, healthy eating tips, and exclusive interviews. Highlights include a lesson on how to photograph the northern lights and an extensive piece on Mon Sheong’s future direction. Partnering with the community is essential as the Foundation continues to develop and expand its quality initiatives to serve those in need. On this special occasion, twenty lucky recipients each received a commemorative Canada 150 silver coin produced by the Royal Canadian Mint, donated by Presenting Sponsor CIBC in honour of the country’s sesquicentennial anniversary. This year’s special draw, a recurring favourite at the gala, once again gave guests the opportunity to purchase from a limited set of 250 raffle tickets; the lucky winner took home a pair of round trip Air Canada premium economy tickets from a Canadian city to any Air Canada destination worldwide. The Cathay Ball was also home to a highly anticipated silent auction. As one of the largest silent auctions of its kind, this year’s version showcased close to 300 carefully curated items available for bidding, including exquisite jewellery, fine wine, gourmet delicacies, and vacation packages. A mini luxury shopping district was set up by Yorkdale Shopping Centre to the delight of serious buyers, embodying Toronto’s status as a world class metropolis and a popular destination for many high fashion and designer labels. Complimentary whisky tasting attracted many guests to sample the available scotches. And new to the event this year was the social photo booth. Throughout the evening, guests who uploaded their photos on Instagram and tagged them with the #cathayball were able to have them automatically printed out. With no limit to the amount of photos they could post, guests were able to immerse themselves in the enchanting atmosphere and capture the evening’s festivities to their hearts’ content. As always, the Cathay Ball has received the generous support of many donors and corporate sponsors, including Presenting Sponsor CIBC, Diamond Sponsors MediSystem Pharmacy and Lee Tak Wai Holdings Limited, and Official Airline Sponsor Air Canada. Mon Sheong would also like to recognize the contributions of the organizing committee and over 100 volunteers and Youth Group members who helped to bring the event to life. 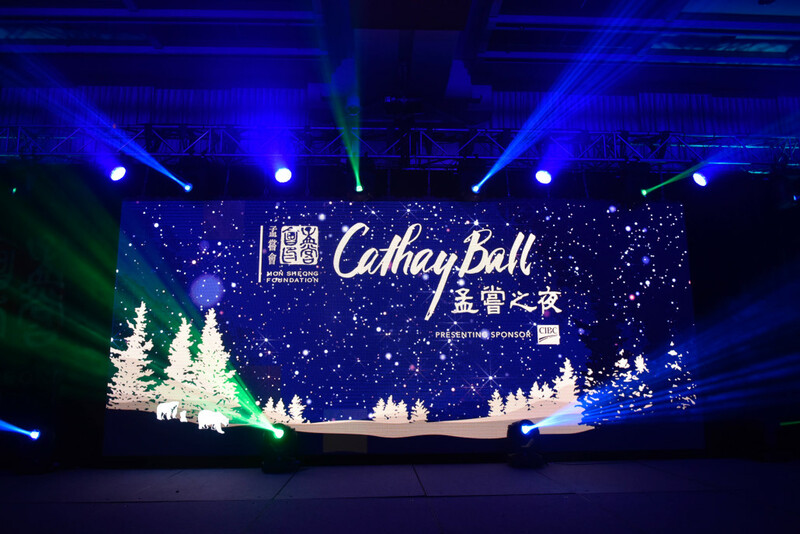 To review highlights of the 2017 Cathay Ball, please visit www.cathayball.com. Mon Sheong Foundation, established in 1964, is Canada’s first registered charity specializing in the Chinese community. It is dedicated to the promotion of Chinese culture, heritage, language, and philosophy and is home to three long-term care centres, an adult day program, three Chinese school campuses, a youth group, two community and volunteer services centres, three independent living senior apartments, and assisted living, private care, and charity care units. Please visit www.monsheong.org for more information.